There are 8 Memory Care Facilities in the Madison area, with 1 in Madison and 7 nearby. The average cost of memory care in Madison is $6,655 per month. This is higher than the national median of $4,650. Cheaper nearby regions include Branford with an average starting cost of $6,150. To help you with your search, browse the 3 reviews below for memory care facilities in Madison. Better rated regions include Clinton with an average rating of 5.0 out of 5 stars. Connecticut has about 75,000 seniors who have been diagnosed with Alzheimer's disease, and the state has regulations to assure that those living with dementia have access to quality care. The city of Madison is home to over 18,000 residents, 23.4 percent of whom are 65 years or older, and a portion of them live with from memory impairment. Specialized care for these seniors is provided by any of the 22 memory care facilities located in and around Madison. These facilities are called Alzheimer's Special Care Units (SCUs), and they are specially licensed by the Connecticut Department of Public Health. Compared to the average climate of the region, Madison is more temperate. Winter lows are 21 degrees, while the state average is 17 degrees, and the town receives an overall comfort index rating of 53 out of a possible 100. However, Madison usually receives about 32 inches of snowfall, so it's worthwhile to check individual memory care facilities to ensure they can safeguard patients from harsh weather. Cost of living can be an important factor for seniors and their families when choosing an SCU. Like many municipalities across Connecticut, the cost of living in Madison is rated high at 147.8, which is significantly greater than the U.S. average of 100. Housing expenses are the biggest factor in this difference, at more than double the national average. On a scale of 100, with 100 being high crime, Madison scores a rating of 18.2 for violent crime and 17.5 for property crime. These numbers are significantly lower than the national scores of 31.1 and 38.1, respectively. Although crime rates are low and most facilities will have surveillance and security systems in place, it's still a good idea to review an SCU's security policies. Madison has no available facilities in the event of a medical emergency or illness, with the nearest major hospital specializing in brain health and dementia care located in New Haven (Yale New Haven Hospital ), 21 miles away. Memory Care costs in Madison start around $6,655 per month on average, while the nationwide average cost of memory care is $4,798 per month. To see a list of free memory care resources in Madison, please visit our Assisted Living in Connecticut page. 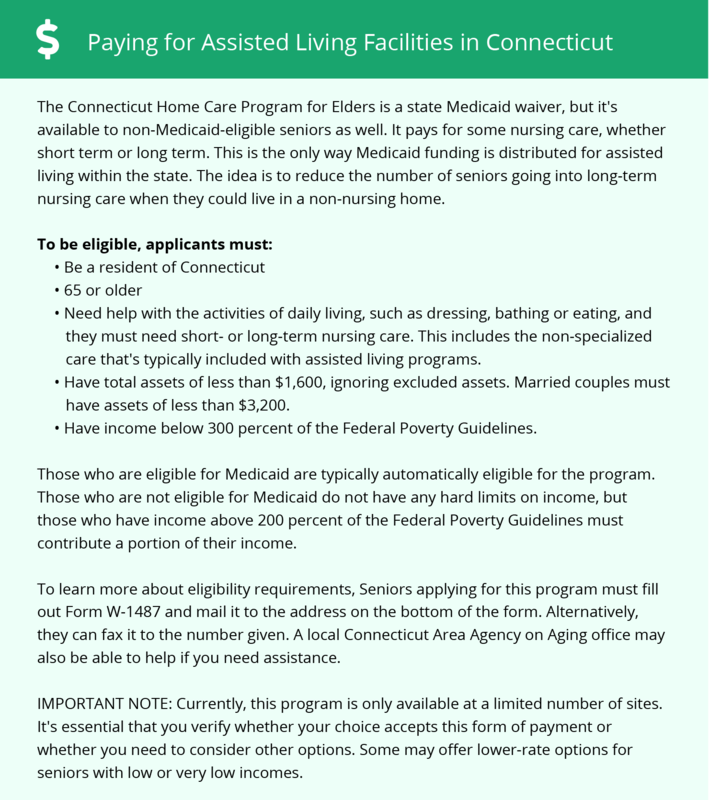 Madison-area assisted living communities must adhere to the comprehensive set of state laws and regulations that all assisted living communities in Connecticut are required to follow. Visit our Memory Care in Connecticut page for more information about these laws.